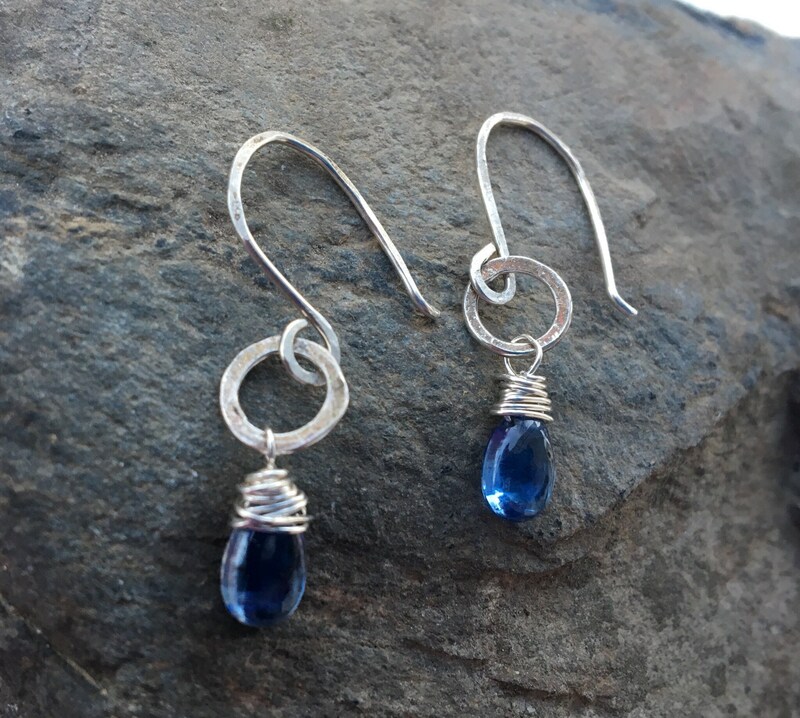 These teardrop Kyanite gems are hand wrapped with sterling silver wire. The center circle is hammered by hand. 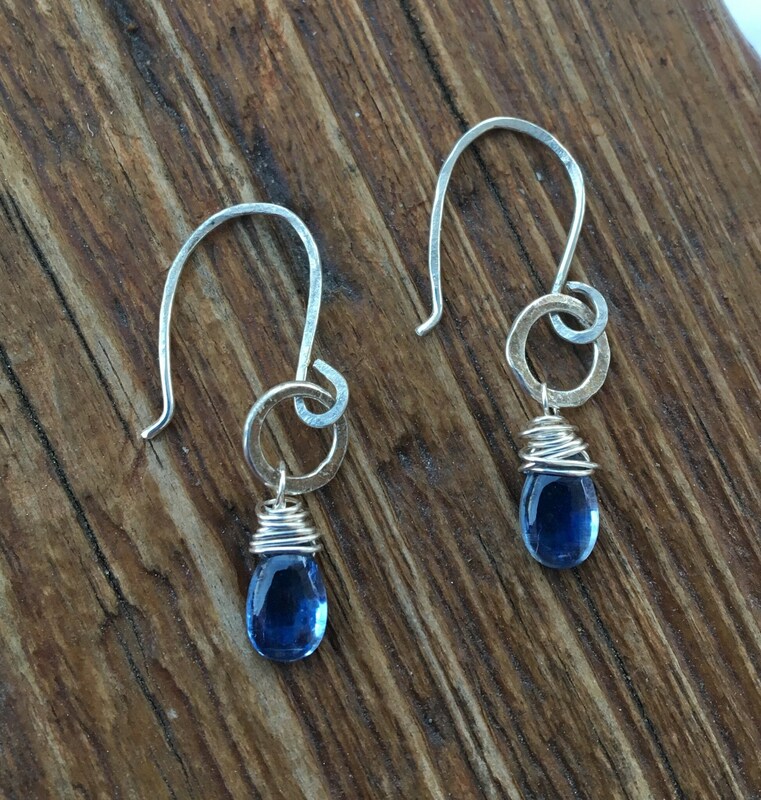 These earring wires are hand crafted & created using sterling silver wire. 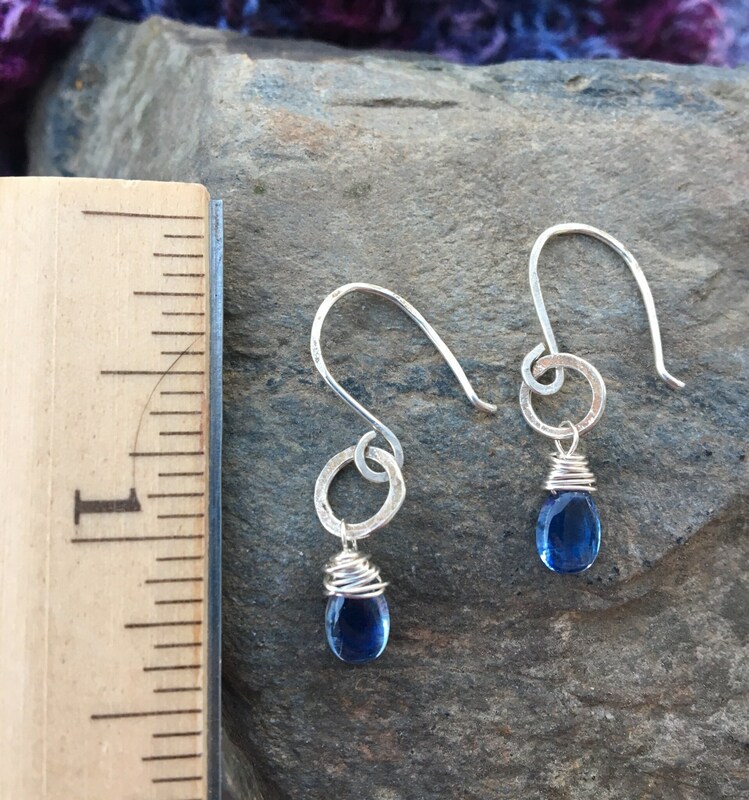 See above photos for earring dimensions.